What Would You Add to the Bill of Rights? – The government may not withhold tax payments from a worker’s paycheck, or in any other way require an employer to collect taxes from his employees. We can keep the income tax, but everyone who pays taxes should have to write a check and see that money come out of their account. That change alone would bring about some radical changes to our government, among them being a brand new capital city, after angry taxpayers burn our current one to the ground. 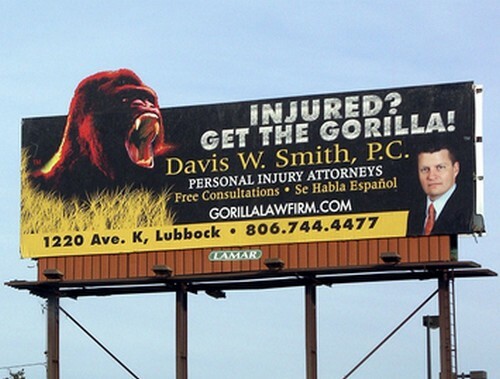 – If your picture has ever appeared on a billboard next to the words “Divorce,” “DWI,” or “Injured?” you forfeit your law license and may never practice law in the United States again. I’d like to add “and you shall be shot into space on a very cheap rocket,” but I’m afraid if the rocket exploded inside the atmosphere the air would be contaminated with hair gel and teeth whitening residue. – No person who receives money from the federal government shall be allowed to vote in elections for federal office. You can either vote, or live on the federal dime, but not both. Budget discussions would take on an entirely different flavor if government expenses were viewed as, y’know, expenses, rather than spinning slot machine wheels. Does that include people who work for government contractors? Well, that would be for the Supreme Court to determine, but I would say yes, yes it does. – Any news organization that claims to be “impartial” shall be required to divulge the voting records of its employees. It’s not like this information is going to surprise anybody, but it would still be a nice reminder for everybody to see “Matt Lauer – 98% Democrat” appear under Matt Lauer’s face every time he’s on TV. – During the State of the Union address, all proposals requiring new spending must be accompanied by a loud “Cha-CHING! Cha-CHING!” sound. Again, probably less than practical, but worthwhile.